As you walk around Guatemala City, you can’t help but notice people in brightly-colored traditional dress. If you’d like to buy some yourself, here are the best places to do so. This is the official handicrafts market of Guatemala City, where there are various small stands offering products from across the country. It’s something of a one-stop shop for traditional clothing and accessories, and there are some unique pieces in among the generic stuff. The main market in Zone 1 in the center of the city is a working market where locals come to buy food and everyday items. There are also stalls selling traditional clothes, which tend to be good value if you are up for haggling. 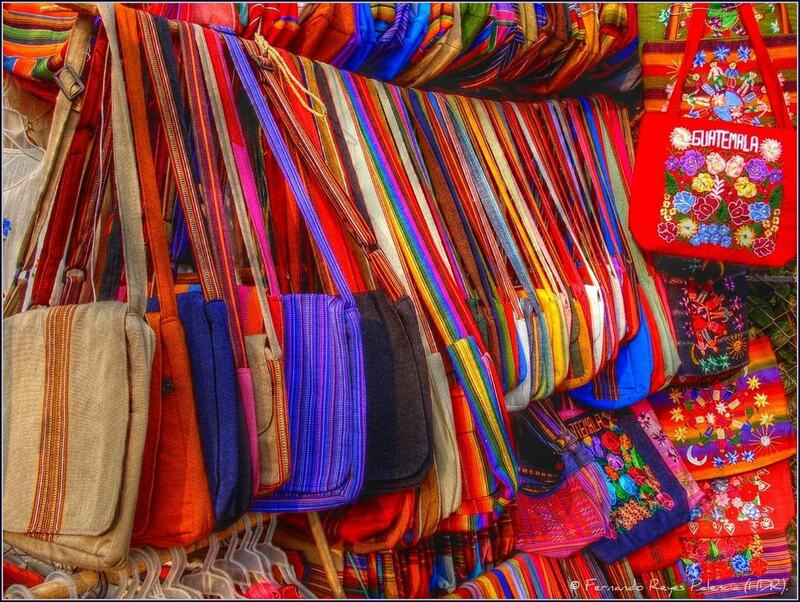 Found in the Plaza Fontabella mall, this boutique offers high-quality bags that use traditional Mayan textiles. It’s a great place to pick up a present for someone special before you fly home. You can expect to spend a fair amount here, so don’t make the journey if you are on a tight budget. The largest market in Guatemala City is named after the bus terminal that sits in the middle. It’s a labyrinthine place, and crime can be an issue. People come here from all over the Guatemala to sell their wares, so look out for textiles from the interior of the country. Make sure you are out of the market before sunset, when the traders disappear and less savory characters start to emerge. Sitting at the other end of Sixth Avenue from the Mercado Central, this market is less hectic but offers most of the same items for sale. There are jackets, shirts and trousers for sale among other souvenirs, as well as reams of counterfeit CDs and DVDs and almost anything else you can imagine. Keep a close eye on your valuables here. This amazing museum has a huge number of exhibits, including 8,000 pieces of traditional textiles from 147 towns and 34 villages around Guatemala. There is also an on-site shop where you can buy selected pieces to take home with you. The prices here are higher than in the markets, but you will be getting high-quality pieces. If you are really stuck for time, you can grab some souvenirs after you check-in for your flight. The selection is fairly limited and you will pay a premium over shops outside, but the airport souvenir stands could save your bacon if you’ve forgotten to buy gifts for your nearest and dearest. Just remember to take them out of the airport plastic bags before you get home!